At the intersection of healthcare and technology, telemedicine continues to change the delivery landscape and is expected to attract 7 million patient users by 2018. 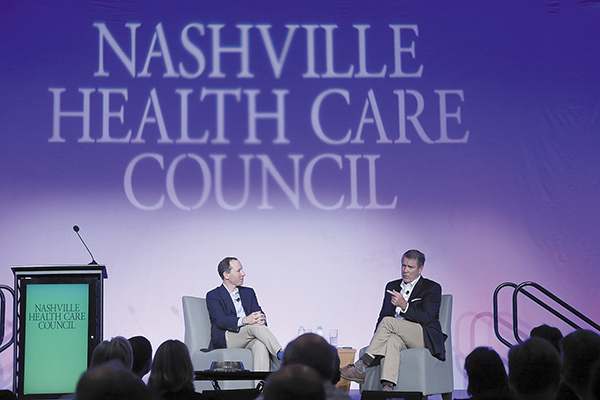 Last month, Jason Gorevic, president and CEO of Teladoc, sat down with Sen. Bill Frist, MD, as part of a Nashville Health Care Council program to discuss the continued growth of this technology-enabled healthcare platform. 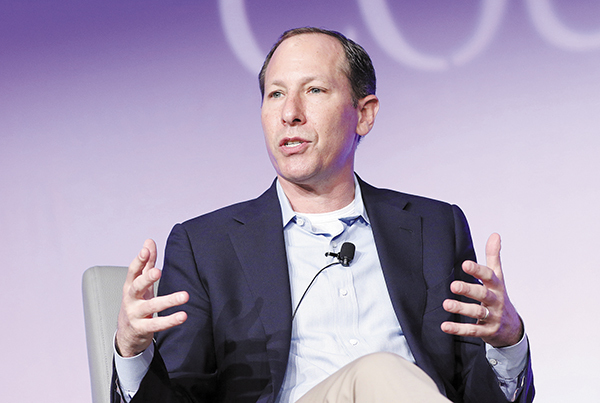 Launched with a mission to create a new kind of healthcare experience connecting patients and physicians, Gorevic said the value proposition is to shift the mindset from 'I'm sick. I need to go to the doctor' to 'I'm sick. What's the best way to get care?" Today, Teladoc commands nearly 75 percent of the telemedicine market share and serves roughly 7,500 payer, provider and employer clients representing more than 20 million members. The healthcare team includes 3,100 board-certified, state-licensed physicians and therapists who handle medical consults around the clock in general medicine and behavioral health. Gorevic noted that in addition to dealing with routine upper respiratory issues and skin rashes, patients are increasingly able to tap into assistance for more complex issues including counseling needs, dermatologic issues and sexual health. "We're not setting broken bones or suturing a laceration remotely," Gorevic said with a smile. However, he continued, "For the issues we see, 92 percent of our users get their medical issue resolved the first time without having to have a follow-up." While telemedicine has long been looked at as an access solution, particularly for those living in rural areas, Gorevic said it also offers access in terms of convenience and off-hours care even in large metropolitan areas. "Fifty percent of our visits are nights, weekends or holidays when the doctor's office is closed," he said. Gorevic added after hours access to physicians through Teladoc and other virtual providers rather than through an Emergency Department also represents a significant cost savings for both the patient and the healthcare system. One of the early criticisms, Gorevic noted, was a concern that telemedicine providers would get in the way of the continuity of care. However, he countered, "Being an integral part of the overall healthcare system is important to us. Increasingly, we're working with health systems to create an integrated experience." One of the company's largest clinical areas is behavioral health. "At the beginning of 2015, we acquired a company doing direct telebehavioral health. It's one of our fastest growing areas of the company," said Gorevic, adding telebehavioral health addresses a number of barriers to receiving care. He shared an anecdote from Teladoc's medical director for behavioral health. A board certified psychiatrist, she lived in a small town with a high suicide rate and other mental health issues. Yet, she recalled, no one wanted to park their car in front of her office where it might be recognized by neighbors. Additionally, Gorevic said there are other patients, such as those suffering from PTSD, who have a difficult time even leaving their house. Accessing care remotely, he said, offers a viable, non-threatening solution. He sees continued growth in telemedicine as a cost effective piece of the overall continuum of care. Certainly, Teladoc has experienced significant increases over the company's history both in revenue and virtual office visits. The company almost doubled the number of visits from 575,000 in 2015 to 950,000 last year. Gorevic said the company expects to see 1.5 million individuals in 2017. "That's pretty staggering growth in any industry," he pointed out. In response to a question from Frist regarding the challenges of taking a startup to a publicly traded company, Gorevic offered a few pieces of advice. "Beware of the technology in search of a business model," he warned, adding that just because technology exists doesn't mean anyone wants it. "Make sure there's a value proposition and a real business model before you launch." Second, he noted, "You have to be super comfortable with ambiguity. There's rarely a right or wrong answer." Finally, expect challenges. No one said it would be easy. "We've had some challenges along the way. The regulatory environment was probably the biggest challenge," he said. 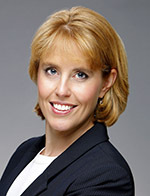 Gorevic noted Teladoc had highly publicized dispute with the Texas Medical Association. After spending millions over the course of six years on court cases and working to get legislation passed to allow the virtual visits, the company prevailed. "You hate to spend that kind of money, especially as a cash-strapped startup, but I always knew we were right," he stated. As of Sept. 1, Teladoc will be in all 50 states when the company enters the Arkansas market. Gorevic believes the growth the company has already experienced is just scratching the surface of the overall telehealth potential. "It's about improving access to care and enabling patients to interact with healthcare systems remotely - just as everyone does everything today. We live in an on-demand society, and we believe healthcare access should be on-demand, as well," Gorevic stated. Last month, officials with the Nashville Health Care Council announced the Board of Directors has updated the organization's purpose statement to better reflect the Council's scope and impact. The new purpose statement is: "To inspire global collaboration to improve healthcare by serving as a catalyst for leadership and innovation." 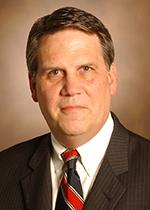 "The Nashville Health Care Council was founded with the purpose of bringing together healthcare leaders to position Nashville as our nation's healthcare capital," said Board Chair C. Wright Pinson, MBA, MD, who is CEO and chief health system officer for Vanderbilt University Medical Center. "Given the amount of change the Council, our industry, and Nashville have undergone in the 20 years since, we felt the time was right to evolve this purpose statement to more accurately reflect the role the Council plays today." "I'm pleased our Board recognized that an important piece of the Council's current and future work involves facilitating conversations among leaders from around the country and the world who wish to work together toward a common goal - improving health care," said Hayley Hovious, president of the Council. "As the Council grows and evolves to meet health care's increasing need for collaboration, we're excited to build upon our unmatched legacy and unique position in the industry. For our nearly 300 corporate members, the Council's new purpose statement reflects a commitment to further growing the programs and initiatives we already offer, such as Fellows, Leadership Health Care and international study missions, while developing new opportunities to connect members with colleagues around the country and the world."